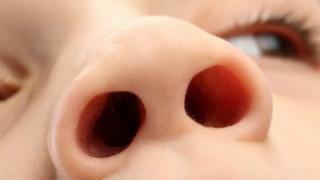 Lung infections are a leading cause of death in under-fives worldwide. Researchers at the University of Edinburgh found that the differences indicated the severity of the condition and could help doctors predict how long the child needs to stay in hospital. Prof Debby Bogaert, of University of Edinburgh’s Medical Research Council Centre for Inflammation Research, who led the study, said: “Lung infections can be extremely serious in children and babies, and are very distressing for parents. University of Edinburgh researchers worked with teams in the Netherlands to take samples from more than 150 children under the age of six hospitalised with LRTIs. They then compared these with samples from 300 healthy children. They found that the microbiome from the hospitalised children, the bacteria and viruses found in the back of the nose and throat, were related to that seen in the lungs, which made it easier to understand and diagnose the infection.